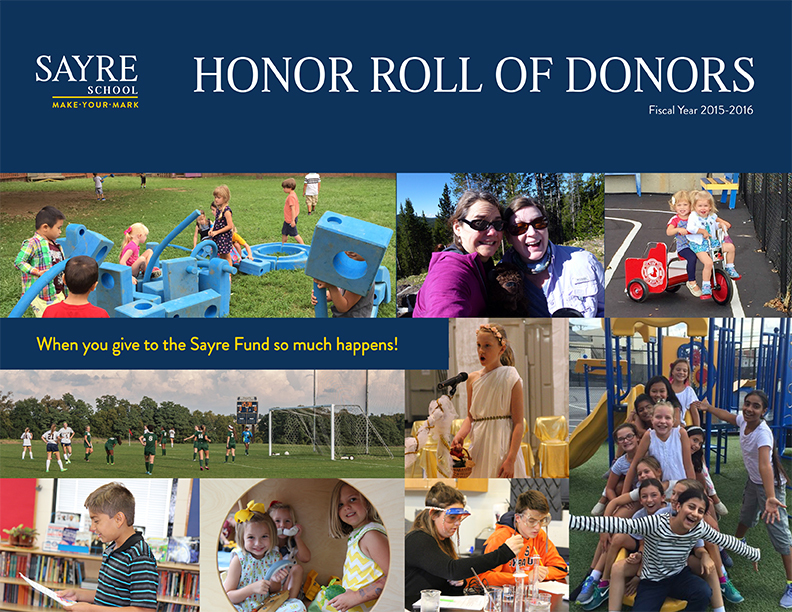 Thanks to our generous donors, so much happens at Sayre! Thanks to your generosity, Sayre provided its teachers with a range of seminars, classes and overseas study trips for professional development. We purchased state-of-the-art educational equipment and provided financial aid to over 24% of our families. Every gift has had an impact and is deeply appreciated by everyone. We diligently proofread the Honor Roll; however, if you see an error please let me know so it can be corrected. Your gifts have made such a positive difference for our students. We are most grateful.